First time users should read this guide to the features in ArtRage Lite, to help you get started with the software! With subtitles in German and English. 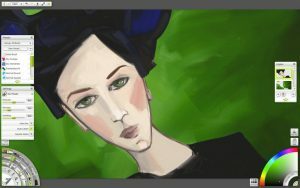 Learn how to start painting, drawing and inking with the watercolours, oils, pencils, and other tools in ArtRage Lite. The following videos show you how to create an image, demonstrate the main real media tools in the program and include plenty of art tips for beginners. 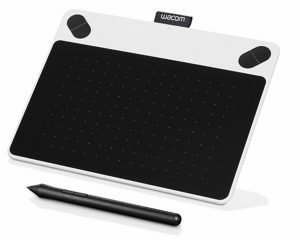 Wacom selected ArtRage Lite to be included with their new Intuos Draw graphics tablet, as the perfect painting and drawing software for beginners. ArtRage Lite owners can upgrade to the advanced features of ArtRage 5 at a 30% discount, so you’ll never outgrow your painting software. These tutorials were created by artist Barbara Lietzow, in cooperation with Wacom and Ambient Design, using the Wacom Intuos Draw graphics tablet. 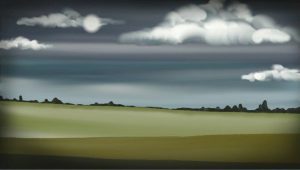 This quick five minute video teaches you how to sketch out a quick landscape with fields a sky with clouds, entries on the horizon using the pencils, and colour it using the watercolour brush in ArtRage Lite,. It also shows you how to paint depth, sky, clouds, trees, and fields. It covers tool settings, layers, and different watercolour presets and techniques, such as the effect of using more water. 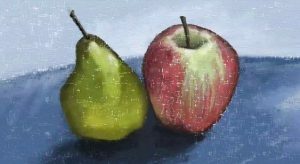 Learn how to paint a simple fruit still life in four minutes using the pastels, and observing from a reference photograph. This tutorial explains how to add a reference image, sketching, shading and crosshatching using a pencil, using layers, and mixing and choosing natural looking colors. 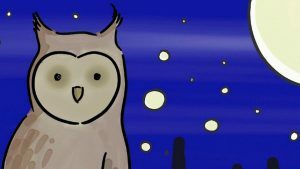 Learn how to use the Inking Pen and watercolour paint brush to draw and colour a simple cartoon owl perched on telephone wires against the starry sky, in this five and a half minute video. This tutorial shows you how to sketch out your drawing in pencil, ink the sketch, using the different Inking Pen settings, and colour it with the watercolour brush. Improve your owl drawing with feather effects, highlights and shadow. You will also learn how to add stars, and colour a night scene. 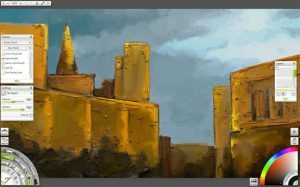 Explore ArtRage Lite’s rich oil paint textures and impasto effects with this vibrant city skyline tutorial. The five minute video demonstrates basic design, perspective and composition, and the use of colour for contrast, shading and to define elements of the buildings. This tutorial uses the Paint Roller to block out areas of colour, the Paint Tube to build up thick areas of paint, and the Palette Knife to spread paint out and mix up colors, to create accents, lighting and texture. Learn how to draw a stylised face and mix up skin tones using the Oil Brush in four minutes. The video shows you how to quickly sketch out a face and features, and use different colors of paint to create highlights and shadows. Once you’ve drawn and blocked out the main areas of colour, detail the face and eyes with a thin brush, and create a bold colourful background by mixing colors with the palette knife . Learn how to create a simple illustration from sketch to color in ArtRage Lite. This half hour video course covers sketching, inking, coloring, stencils, selections, and basic canvas settings in ArtRage Lite, as well as the Fill Tool in ArtRage 5. Learn more about ArtRage Lite. You can upgrade ArtRage Lite to ArtRage 5 for even more features!